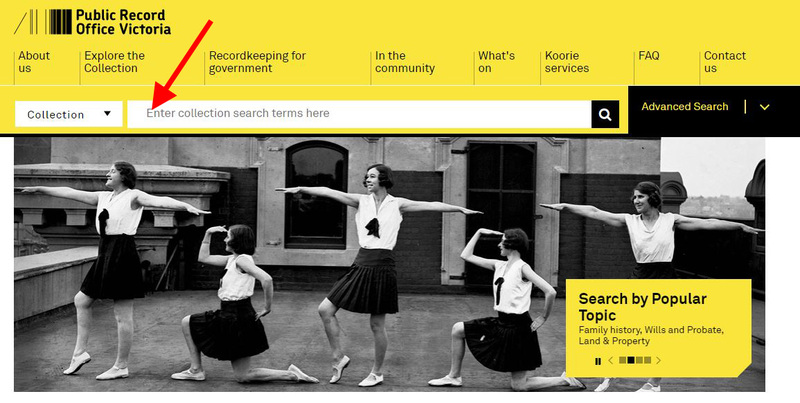 I’ve seen and heard lots of comments from people who were struggling to use the Public Record Office Victoria website. It’s the same old story – it’s human nature – we don’t like change. We also are often heard to say – the old version was better. Follow these simple steps and you’ll soon realise just how much better the new website is! There are still changes and detail to come but learn a couple of these steps and you’ll never look back.